"South Jersey's Farm Vineyard and Winery"
In the area in and around the NJ Pine Barrens, lodging can be as casual as camping or as cashy as a casino. From wilderness cabins to the luxurious resorts of Atlantic City only a short distance away from our Pine Barrens, it's all here! Hotels and motels are found mainly in the towns on the fringe of the Pine Barrens, but the choices don't stop there. Bed and Breakfasts are becoming more and more popular in the region, both on the mainland and on Long Beach Island, the beautiful barrier island on the Atlantic Ocean, offering gorgeous white sand beaches, family atmosphere and great cuisine, where short-term home rentals are also available. Of course, if roughing it is your preference, campgrounds are plentiful here in New Jersey's Pine Barrens. Hotel owners/managers - Contact PineyPower for advertising opportunities! Located in the Bluberry capital of the world! Close to Wharton State Forest, Tuckahoe Sod Farm, Batsto, wineries, 25 min. to Atlantic City, Philly. AC Airport nearby. Near restaurants and shopping. 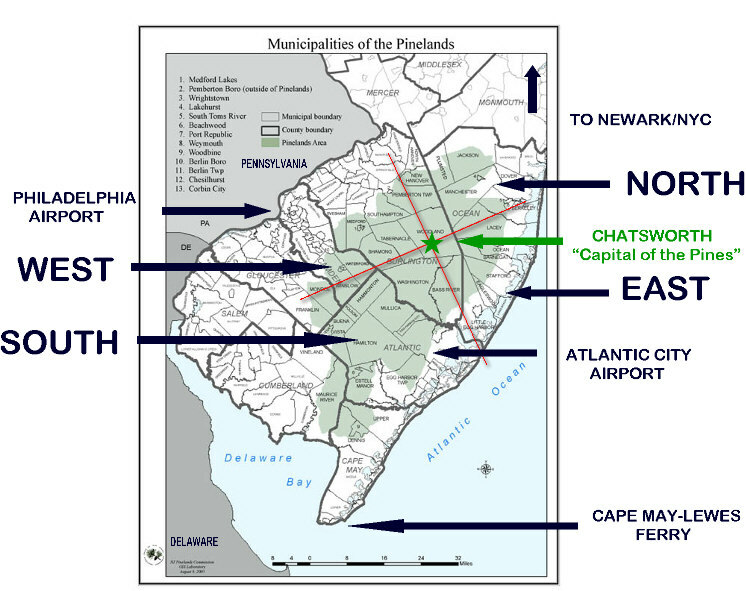 A great base location for visiting the Pine Barrens! Innkeepers - contact PineyPower for advertising opportunities! Campground owners - contact PineyPower for advertising opportunities! Bakers Acres is a beautiful family campground set amidst 60 wooded acres on the edge of the NJ Pine Barrens. 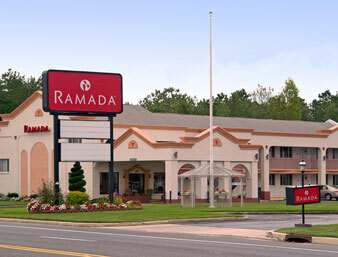 We offer a laid back family atmosphere with modern amenities, activities and FUN! Government agencies receive complimentary links from PineyPower. Click each for campsite map. Please e-mail information@pineypower.com with questions or comments about this website.